Avon is an iconic American company that has been around for nearly 130 years. But Avon is struggling. And there's not enough makeup in the world to make it more attractive. Things have gotten so bleak for Avon (AVP) that investors actually pushed the stock higher Thursday following a report of a takeover offer ... that turned out to be fake. An entity calling itself PTG Capital filed a letter with the SEC claiming that it wanted to buy Avon for $18.75 a share -- nearly triple what the stock was trading at on Wednesday. Shares surged as much as 20% shortly after news of the filing started to spread. But traders and financial reporters quickly poked holes in the "offer." Phone calls to the London number for PTG's general counsel went straight to voicemail. Google searches turned up no evidence of PTG or the Trose & Cox law firm listed in the filing. The stock was halted several times and Avon eventually put out a press release saying that there was no offer and that it could not verify the existence of PTG. Shares then fell from their highs but still gained 6% for the day -- on five times the average trading volume. The stock fell more than 1% Friday morning. The SEC had no comment about how someone could actually get a bogus filing into its system. Regardless of who's behind the hoax, the sad fact is that Avon was susceptible to it in the first place. Avon had the chance to sell itself for real three years ago. But it turned down bids from rival cosmetics company Coty (COTY). The last offer for Coty valued Avon at $24.75 -- nearly 25% higher than this week's fictitious offer. Saying no to Coty turned out to be a huge mistake. Avon stock is now hovering around $7. Sales have fallen for the past three years and are expected to be lower again this year. The company has also lost money for the past three years. Avon has struggled to adapt. Who needs Avon Ladies ringing your doorbell when you can buy cosmetics for a lower price online or at your local drugstore? It even got kicked out of the S&P 500 index earlier this year because its market value was too small. 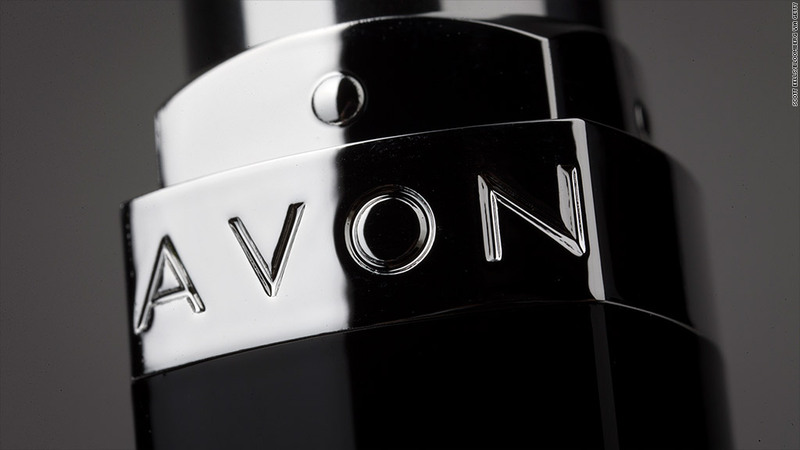 Avon had been in the blue chip index since 1964. You could argue that the only reason Avon is still culturally relevant today is because the company is part of a plot line on the latest season of "Mad Men." But that show takes place in 1970. Maybe Avon will turn things around. Being an "old" company doesn't have to mean that you are doomed. After all, the company that replaced Avon in the S&P 500 was HanesBrands (HBI) -- which was founded in 1901. But investors are not optimistic. The company's best days are clearly behind it and the market obviously wants Avon to try and sell itself -- assuming there is a real company out there that wants to buy it.